The Carnarvon Horticulture District is situated on the fertile delta of the Gascoyne River. Despite the fact that the river flows irregularly, and the town is in the middle of 500 km of arid landscape, this horticulture district plays an important role in providing fresh fruit and vegetables to the Perth market 1,000 km away. ...... read more. Salt constitutes the main mining activity in the Carnarvon frokm Rio Tinto's Dampier Salt Pty Ltd harvesting operation at Lake MacLeod. This salt is used extensively in the chemicals industry across South East Asia.... read more. Carnarvon is the regional hub of the Gascoyne Region. Our town offers a range of good quality caravan parks and motels. Carnarvon's horticultural industry is a popular stop for international backpackers seeking work as they travel Australia.....read more. 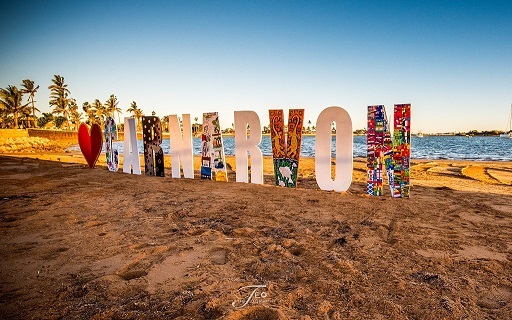 Carnarvon's average temperature is 20 C and it enjoys almost 11 months of sunshine a year ... read more. Visit Burlganyja Wanggaya - Old People Talking, Gwoonwardu Mia's national award winning permanent exhibition. Pastoral stations represent more than just an industry to the people of the Gascoyne. It is a way of life that characterizes the history and people of the region... read more. The vast sea grass paddocks of Shark Bay are extremely fertile breeding grounds for prawns, crabs and finfish.... read more.